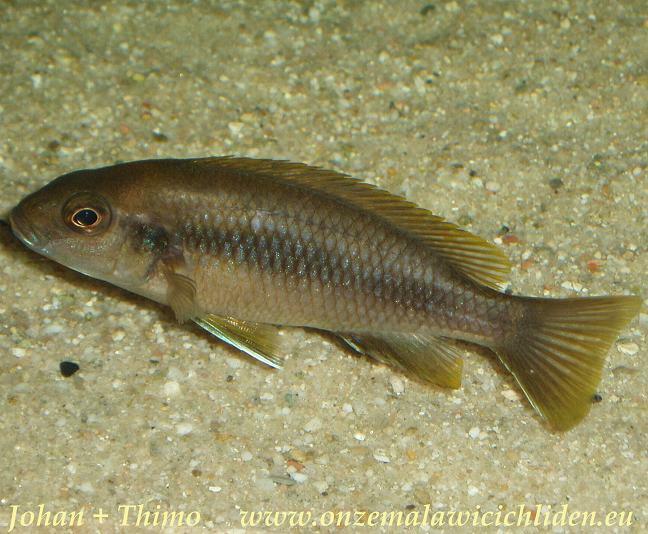 Gephyrochromis moorii can only be found in the south of Nkhata Bay where they are living in small groups above the sand. This variant is from Msuli Point. 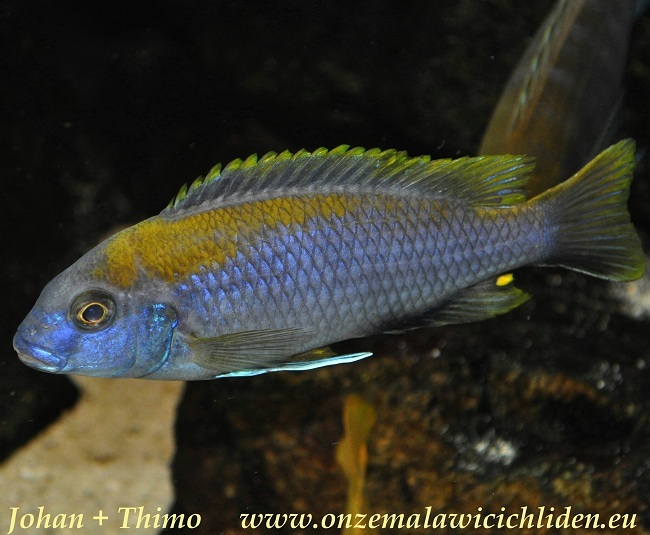 During one of my visits to Zoo Zajac in Duisburg - about the middle of 2009 - I saw a large number of these cichlids in a fishtank overthere. 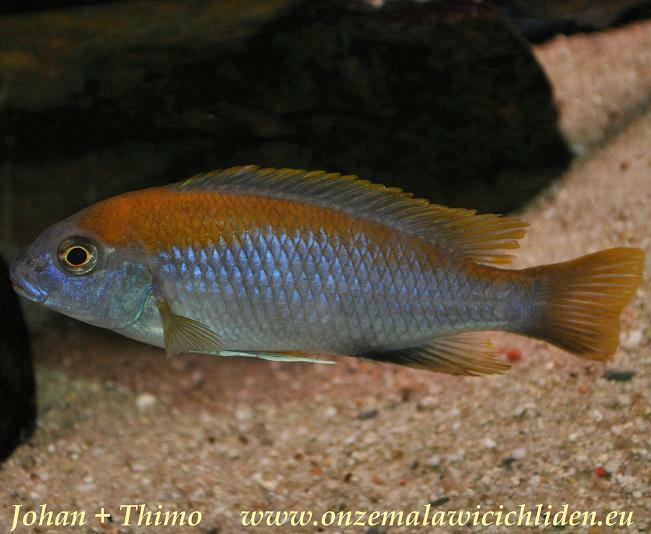 I was really astonished by the colors of the males so I decided to take a group of 8 of these fish home, 2 males and 6 females. 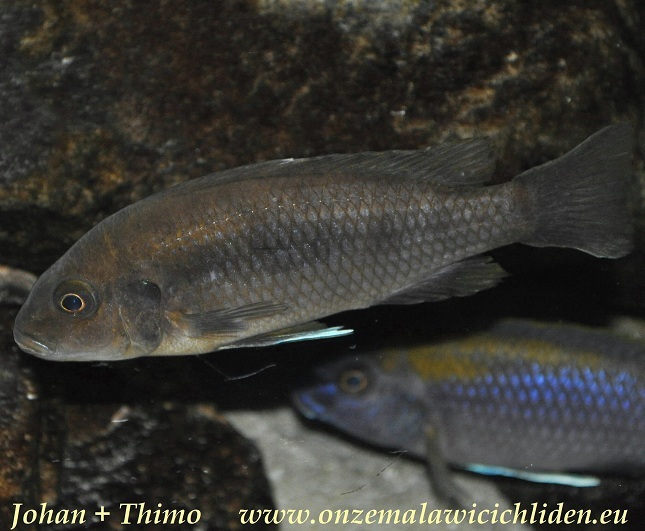 At that time they were about 7-8 cm tall, as well the males as the females. When I arrived at home I divided this group in two smaller groups of each one male and three females. 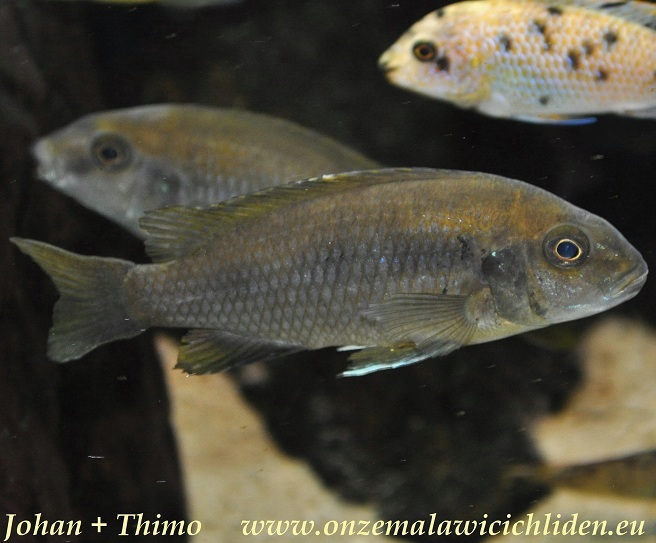 I´ve placed one of these groups in the aquarium in the livingroom, the other in a breeding tank. 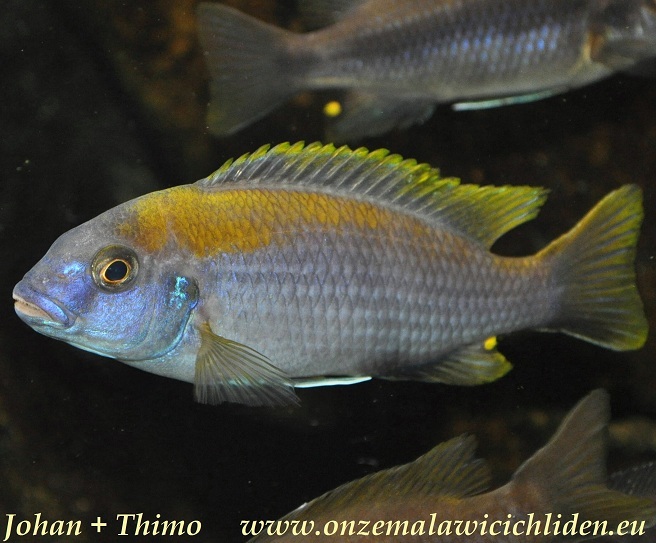 In these seperate tanks they are all grown up to beautiful adult fish, the males are about 14 cm and the females about 12 cm. In general they behave very quiet. 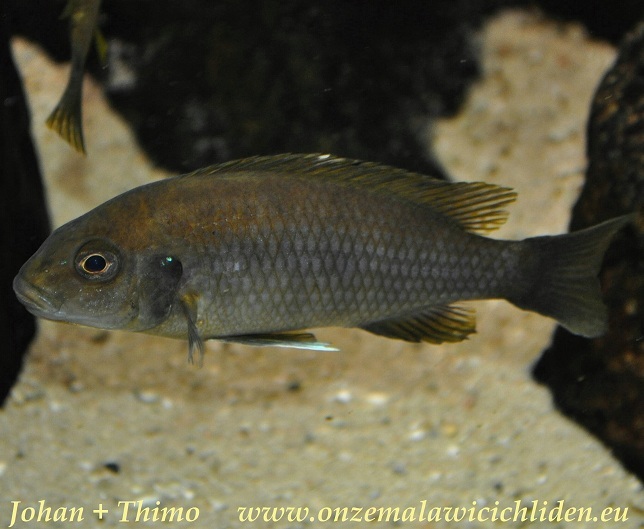 Usually the male doesn´t defend a spawning place however when he´s ready for spawning with one of his females he makes a small hole in the sand against a rock which he defends in an average way then. 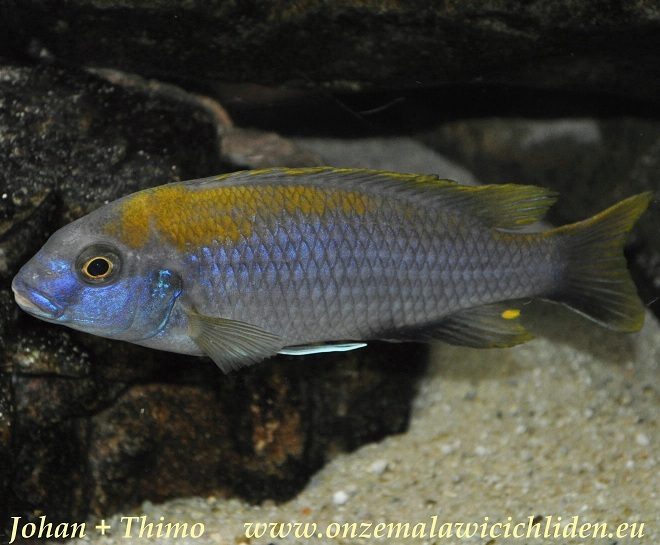 After spawning he doesn´t worry about it anymore and he starts swimming around in the aquarium again like before. 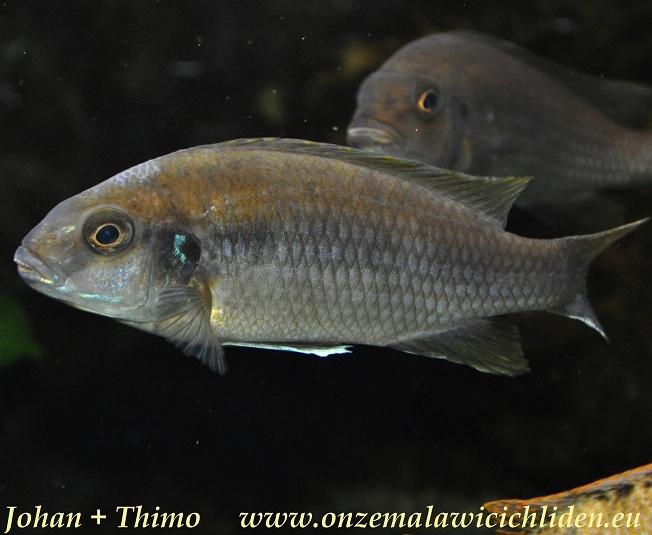 Last few years I´ve had several nests of this species with an average of 20-25 young fish a nest. 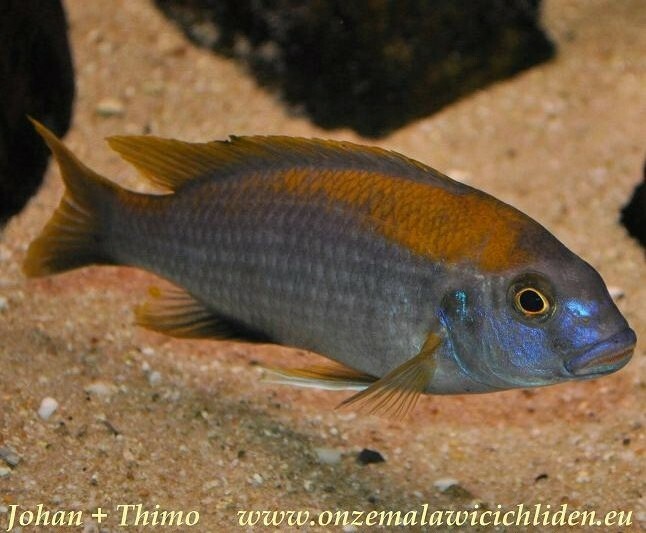 In an aquarium this species feels at best when it has the availability of a quit great surface of sandbottom, then they will show you their most brightest colours. In the lake they are seeking the sand for food. In the aquarium they are comfortable with any food. They take everything they get offered, like spirulina pellets, mysis, artemia, cyclops and shrimp-peas mix.